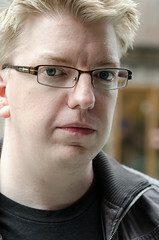 Andy Piper is widely known as a Social Bridgebuilder and speaker, and is a Developer Advocate at Twitter. He is an enabler, a synthesiser, a connector, and a community-builder. The Lost Outpost is Andy’s personal blog. Most of the time you will be reading his musings on topics related to his work, life, technology, the web, and photography. This is a wide spectrum of topics – particularly since “life” could cover anything and everything that catches his attention! As well as this personal weblog, Andy also contributes to mqtt.org, the site for the community interested in lightweight messaging for mobile and telemetry applications; and the Eclipse Paho project, part of the Internet of Things community at the Eclipse Foundation. Andy Piper is a Developer Advocate at Twitter. Prior to joining Twitter, Andy was Developer Advocate for Cloud Foundry, the Open Source Platform-as-a-Service, at Pivotal and VMware; and he spent 10 years at IBM working on enterprise middleware as a WebSphere consultant, strategist, and WebSphere Messaging Community Lead. 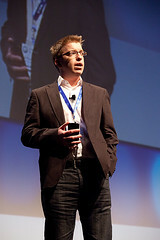 Andy is probably best known online as a “social bridgebuilder” spanning a number of areas of technology and interest. His weblog The Lost Outpost reflects the diversity of his skills and interests: development, design, communications, everything social, community building, marketing, gaming and digital imaging. He has been a co-host of podcasts including the weekly Dogear Nation podcast (search for it on iTunes), Games at Work, and the Ubuntu UK Podcast; is one of the organisers of Home Camp; and was a committee member and former speaker at Digital Surrey. Andy is a regular speaker on various topics, ranging from digital culture and virtual worlds to social software (slides on SlideShare). He is a STEM Ambassador and is keen to promote computing and technology education to schools and universities in the UK. Andy is a Chartered IT Professional member of bcs, the Chartered Institute for IT, and holds a Master of Arts (Oxf) in Modern History from Brasenose College, Oxford University, in the UK. For images, please see Andy’s Lanyrd bio page, or visit this Flickr set. Alternatively, check the tagged photos on Flickr. Should you wish to use any of the images from Flickr please respect the relevant licenses and seek permission from the owner / credit appropriately when doing so. Andy’s extensive technical career began with several years working with distributed middleware technologies such as MQSeries and DCE for the UK Post Office. He developed broad experience with enterprise computing environments using a variety of platforms and standards. He then moved to IBM Software Services for WebSphere, where he worked with customers to help with implementations of WebSphere products, as a specialist in the messaging and integration families within the WebSphere portfolio; and later joined the Hursley lab, IBM’s primary European laboratory, to bring his field experience back to the development teams. In 2012 Andy joined the VMware Developer Relations team to work as a Developer Advocate on the Cloud Foundry platform. In April 2013 Cloud Foundry was part of the Pivotal Initiative launched by EMC, VMware and GE and Andy became the Pivotal Developer Advocate for Cloud Foundry. Andy became known as a subject matter expert on Platform as a Service and Cloud. Andy’s experience with Linux and open source software stretches over fifteen years. Currently, he is community lead on the Eclipse Paho project; and a contributor to Cloud Foundry, Mac Homebrew, and other projects. He was previously a volunteer contributor to the Linux Open Client used internally at IBM, and actively worked to improve quality and usability of Ubuntu projects through participation in the community and bug reporting. Further back in the past he helped to manage projects such as OpenUT, Anjuta and GnomeSword / Xiphos. In the dim and distant past, Andy coded applications for Acorn computers running the RISC OS operating system, and had a small business providing educational software to UK schools. Andy’s interests include photography, music, video editing, and travel. His passions are varied: history; scuba diving; gaming; computing and digital literacy in education; Open Source hardware and software; home hacking; electronics such as Arduino; maker culture; LEGO; independent music; science fiction; and cinema. There is a bit more information about when, how and why Andy started blogging back in his first blog entry (which isn’t actually the first entry by date, but there’s a reason for that…). You are welcome to contact Andy via email, by phone on +44 20 3287 1302 (SkypeIn / voicemail), on Skype (andypiperuk), or on Twitter (@andypiper). Please note that if you wish to pitch a link, subject or review for a blog post, or make some other connection with commercial implications, you should read this post about the review policy on this blog before making your approach. There is also a very simple policy on guest posts. Due to WordPress.com hosting policies, The Lost Outpost cannot accept third-party advertising. Thank you.